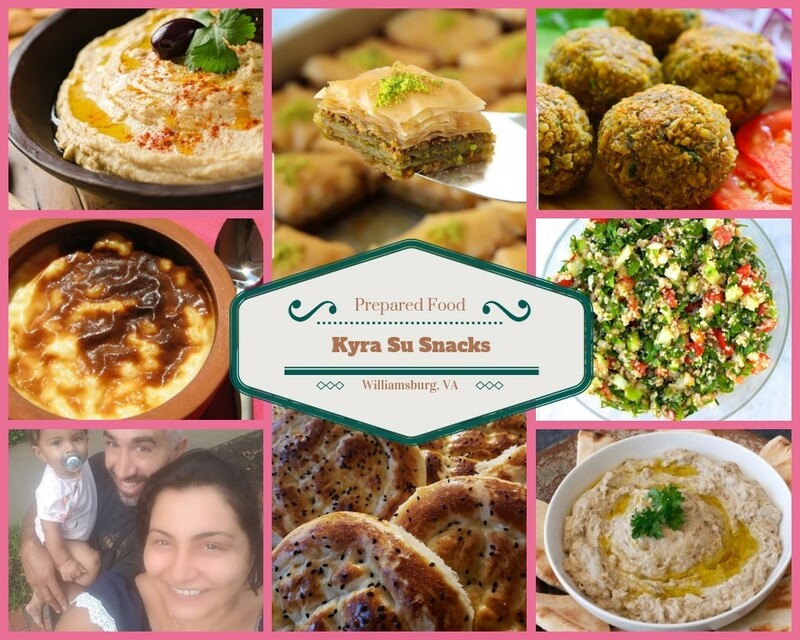 Kyra Su Snacks makes Mediterranean food that delights people of all ages. They offer favorites everyone knows, like hummus and baklava,and also offer the chance to taste recipes handed down from generations of our family. Come, be tempted with babaganush, flafel, tabuli salad and more, all handmade with local ingredients.